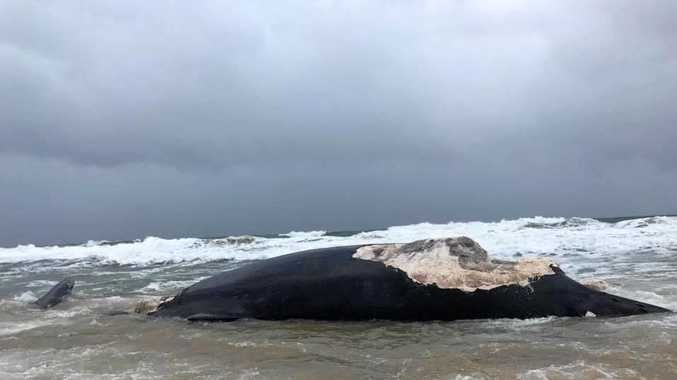 THE operation to remove the carcass of a humpback whale from Wurtulla Beach is a "unique logistical challenge" involving huge amounts manpower, machinery and a red tape. But Sunshine Coast Council officials are confident the carcass which sparked community outrage will be removed tomorrow. Under pressure for its original decision to bury the whale in a shallow grave, council staff are working with police, field experts, contractors and state agencies to move the carcass. Council CEO Michael Whittaker said machinery was expected to be in place on today, in readiness to exhume the whale tomorrow. The dead whale washed ashore on Wurtulla Beach last Sunday and was buried in a shallow grave in the dunes, sparking anger in the community. The situation worsened and health risks became a concern when the carcass began oozing oils and blood through the sand. Mr Whittaker said the operation to safely exhume and transport the whale carcass from a public beach presented "a range of unique regulatory and logistical challenges" which council officers had been working through since the decision was made on Wednesday. "Our primary focus is to ensure we complete this operation in the most efficient, practical and safe manner while causing as little disruption to nearby residents or damage to our natural environment," he said. 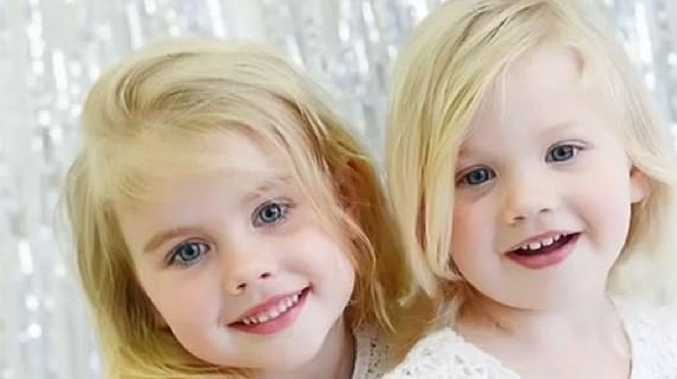 "The operation itself will involve a significant number of staff, contractors, traffic control, machinery operators and police onsite and involve multiple excavators moving sealed containers and ensuring large trucks and heavy machinery have safe access between the burial site and the machinery and truck entrance and exit to and from the beach almost five kilometres north. 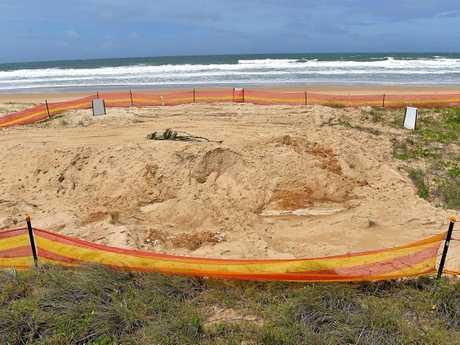 "Council staff have been liaising with indigenous community representatives and multiple state agencies and have sought and received approvals for dune works, revegetation and rehabilitation works, transport approvals, traffic control and occupational health and safety requirements in addition to approval to exhume the whale itself." Tide times, weather conditions and availability of machinery to carry out the job in the most efficient and safe manner were significant considerations when scheduling the timing of the operation, he said. "We will also be contacting nearby residents to notify them of any road closures or traffic changes that may be required as part of the works," he said. "We appreciate the community's patience and ongoing support as we work to deliver the best possible outcome for local residents and visitors to the Sunshine Coast."